Yes I know what you're going to say, it's only September but when it comes to finding a photographer in Newcastle to shoot your family portrait session you really do need to make the booking early if you're considering giving them as a present. 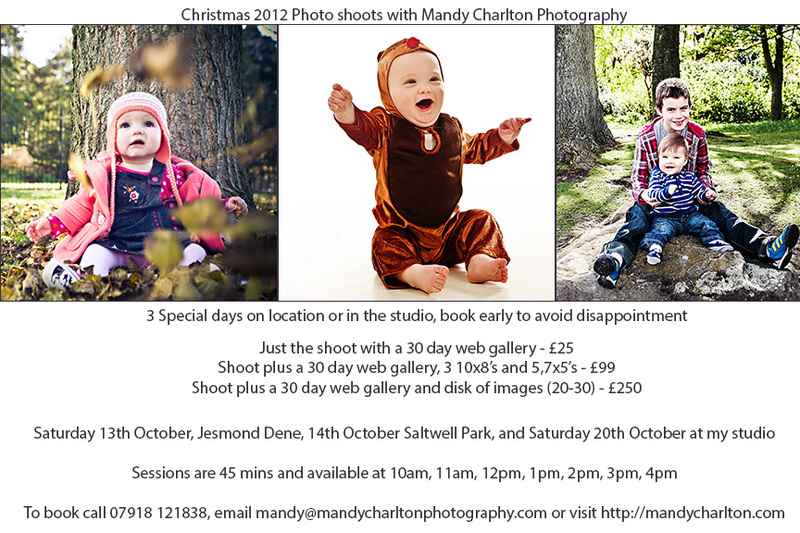 This year I'm delighted to announce 3 very special dates so you can have the photographs on location at either Jesmond Dene, Saltwell Park or a special session at my studio the following week. Because these special family portrait photoshoot sessions are a special price (the disk one saves nearly £100) I'm expecting the sessions to sell out in super quick time, I only announced this yesterday and session times are going fast!!! So all you need to do to book is tell me which location at which time and I'll get you booked in! you can either call me on 07918 121838, you can email me at mandy@mandycharltonphotography.com or you can click through to Newcastle Photographer and fill out a contact form. If you are really savvy you could even buy one of these sessions as a gift certificate and make someones day!